In recognition of Financial Planning Week 2018, I wanted to take some time to reflect on what it is like to be a financial planner and what really is financial planning all about. A big thank you to Adam Rideout for his guest blog. On many occasions, my female clients say that they feel very emotional when dealing with money. They fear they will be judged. They fear that they will be bamboozled with jargon. So it is little wonder why for some, the thought of contacting a financial adviser fills them with tremendous amount of anxiety and overwhelm. I almost came out of this profession in 2016 when, after 16 years of working in financial services, I was, in all honesty, sick of being targeted on how many appointments were in my diary and with a strong focus on products. The golden moments always came when I could work with somebody and help them to shift their relationship with money from one of overwhelm and confusion to one of enrichment. To become good at saving. To become confident to invest and to actually flippin’ understand it! This passion led me to leave the banking industry and launch The Money Panel, where I could commit to using coaching techniques and my knowledge to help women deal with the emotional side of money. Because, let’s face it, every decision we make about money relates to emotion. The emotion of loss (Risk) , the emotion of grief (Inheritance), the emotion of disappointment (Poor planning). I believe that in order to create financial freedom, we must focus on creating financial confidence and financial insight. That may not even involve a product in sight! What a refreshing approach. This is when I discovered Financial Planning. Thank goodness I did! Financial Planning uses something called ‘cashflow modelling’ which has nothing to do with walking down a catwalk, and everything to do with building visual plans to enable dreams to come to life. It also combines some of the most powerful lifestyle coaching principles with advice. Answering questions like “When can I retire? What is my enough? Financial Planning is not about products. Nor is it about the detail. It is truly about what you want to create out of life. We only get one life – this one matters. Financial products (which let’s face it are complicated and rather dull!) come in at the end to enable you to reach your goals and priorities. Plan well to live well. Step 4 is my favourite part as this is where it all comes to life! So if nobody has asked you, ‘How can you protect the lifestyle that you have worked so hard for,’ you need to see a financial planner! What is the difference between a Financial Adviser and A Financial Planner? I asked Adam Rideout from The Money Advantage what he thought to be the difference between financial advisers and financial planners. Here is Adam’s take on financial advisers versus financial planners. What’s the difference between a Zippo and a hippo? One’s really heavy, the other a little lighter. Next; what’s the difference between advisers and planners? Punchlines in the comments, please! In all seriousness, in financial terms, the distinction is important depending on your needs. Both are qualified, regulated professionals, giving advice on pensions and investments. Both help fulfil an objective, but therein lies the distinction; an adviser will typically fulfils an objective with a product. It may be a pension transfer or a new ISA; often the solution is recommending a product, perfect if that accomplishes your objective, it’s a straightforward transaction. What an adviser may not do is ask questions beyond the scope of that transaction. They don’t need to. Financial planning places the emphasis on your lifetime objectives; an integrated approach, addressing short and long-term goals with considered strategies. A planner might ask about your goals, ambitions and aspirations for life, over the short, medium and long term. The focus is on you and what you want to achieve, rather than looking straight at your money. Naturally, once that’s happened a planner will begin to look at products, but the beginning of the journey is you. In recent years there has been a cultural shift in financial services. Previously considered an industry, it is increasingly regarded as a profession. The move driven by an increase in qualifications and best practises, with the intention to build public trust. Hence, the evolution from traditional adviser to financial planner began, to some extent influenced by consumer demand, but more by regulatory reform driven by the Financial Conduct Authority (FCA). A brief bit of financial services history; the Retail Distribution Review (RDR) came in to full effect at the end of 2012. Its aim was to “make the retail investment market work better for consumers” by raising the minimum level of qualification for advisers and simplifying the charges you pay. Some advisers took early retirement rather than exams, the remaining advisers had to adopt a new business model. You, the client, would now pay directly for advice. Previously an adviser would receive commission from providers who used convoluted, bundled charging structures. In the long term the reform has been better for everyone; you pay for the level of service you require, and advisers and planners are able to build responsible, sustainable businesses. Equally importantly, it will help improve the public’s trust in the profession, leading to more taking financial advice, helping them live a more financially stable, rewarding life. Cash flow modelling – Where the magic happens! Arguably, the financial planner’s most powerful tool is cash flow modelling. If you are planning to comfortably retire in the Maldives, you need to understand how to achieve it. Cash flow modelling enables planners to provide tangible recommendations; reassurance that your financial future is attainable and in safe hands. A cash flow plan is only as good as the assumptions it’s based on; you will need to be realistic with your planner about spending, lifetime milestones and your intentions. Your planner will also need to interpret the information accurately to properly understand your situation. Also, remember that cash flow plans are not static. Your circumstances and objectives can, and are likely to, change in future. Your plan will need to reflect this. There are various cash flow modelling tools available; Voyant, Truth, Cashcalc to name a few. There is no doubt they are a vital component of effective goals-based financial planning, but being a true financial planner is about much more than software; it’s a mindset. Advice vs. planning; which is best? It’s a loaded question, there is no best. Advisers and planners offer different propositions for different objectives. The first step is to identify your need and understand the level of involvement required. Fundamentally however, do not underestimate the value of great financial planning. You’ll thank yourself. 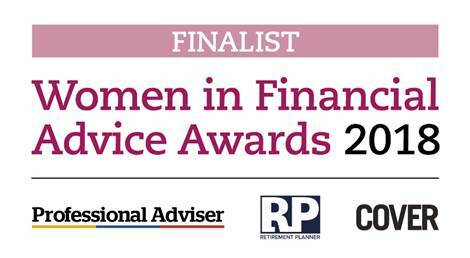 Catherine Morgan, Financial Planner has been nominated as a finalist in the Women’s financial advice awards 2018. 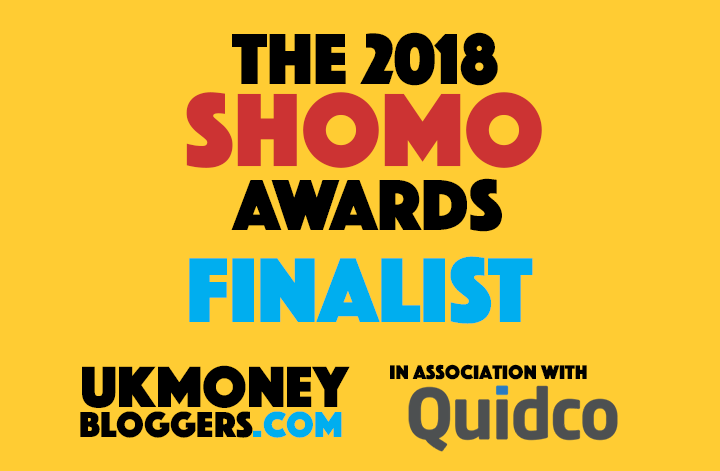 This entry was posted in Dealing with money as a business owner, Financial Advice, Financial Advisers, Growing Your Wealth and tagged financial planning, pensions, questions to ask a financial adviser. Bookmark the permalink.